All Egyptians took to the streets chanting. I will transcribe them so you feel the rhyme in the chants. Here is the key, all letters are pronounced the same as in English, the only ones that are different are the following:[ حـ] = [H] a guttural sound beyond the English [H] , [عـ] =[ ‘] is another guttural sound like a glottal stop but with friction, [ظـ ] = [Z ]an emphatic English /z/ the pronunciation of an English /z /but with the back of the tongue is retracted. [ صــ] = [S] another emphatic of the English sound /s/. I swear if these crowds moved to El ItiHadiyya palace (Presidential palace), Morsi will perform dawn prayers outside of Egypt. Constitution, or no constitution, the supreme guide not to rule. Who the hell do they think they are kidding? 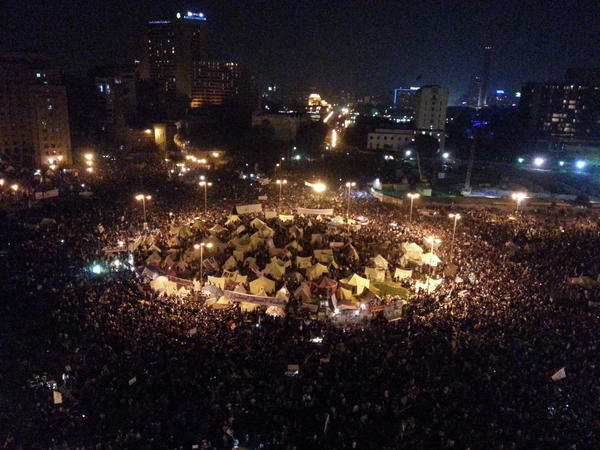 Footage of the massive crowds inTahrir are on all the news programmes! Above some of the tweets and Facebook Status demonstrating how angry the Egyptians are. Please let the US Media know. US Media you are under the wrong impression that free Egyptians will put up with Morsi for 4 years. No way, Egyptians are free people. We want the world to know! 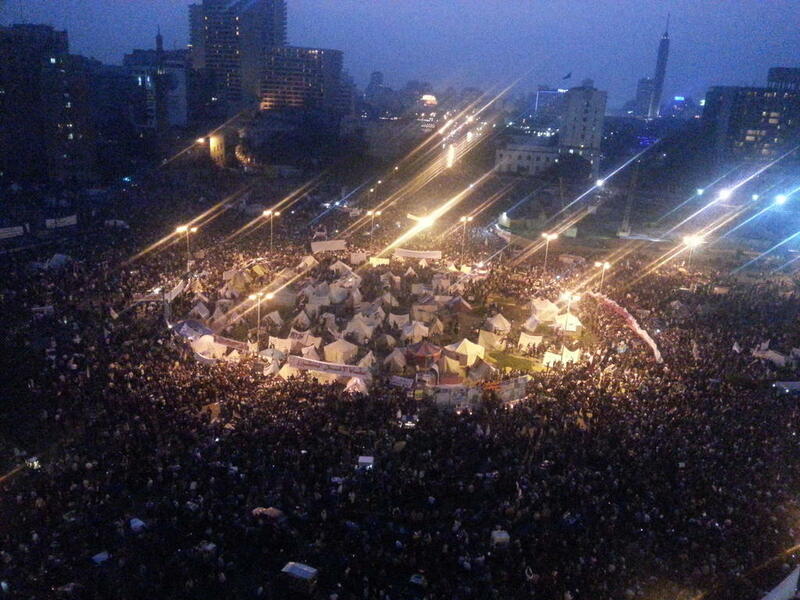 This picture is taken at 5:00 pm and the mentioned marches have not reached Tahrir yet.